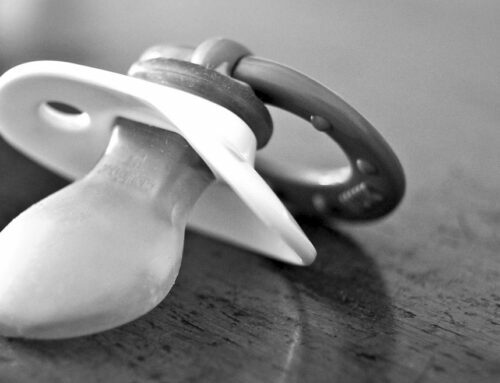 Have your kids asked you that question? What happens if I don’t brush?! Some patients have asked us that! We share the answer in this article, with scientific information to help us prevent our sometimes stubborn children better understand why we do this super-important 3x daily activity. 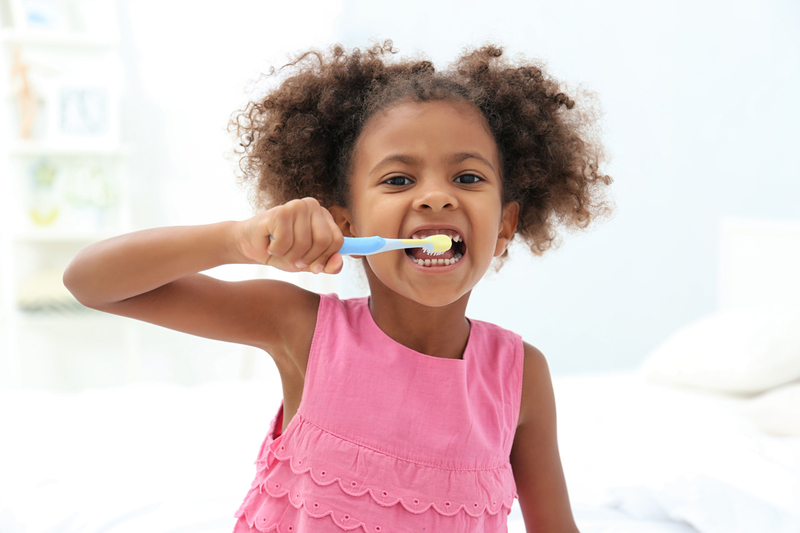 What happens when your child stops brushing? A lot of the food we eat contains sugar. Cookies, potatoes, fruits, pizza, bread rolls – all foods begin breaking down into their base ingredients as we chew and they are exposed to saliva. There is a group of bacteria in the mouth (Streptococcus Mutans, in particular) that absolutely love and thrive in the presence of sugar. They break down sugar to create energy to grown and multiply and they release a byproduct that is actually acid. 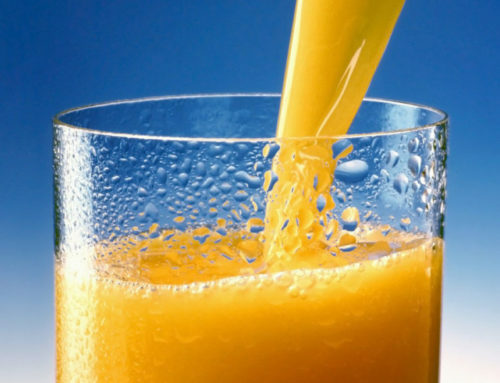 This acid can damage tooth enamel by dissolving it, causing tooth decay. When you don’t brush, the bacteria multiply and they decide to build houses they can stay in! This is plaque. That’s the rough and sticky film that coats teeth and gumline. The bacteria that sticks there is then ready to eat again when we eat and give it more of what it wants. If you continue without brushing, the bacteria keep multiplying and the plaque becomes thicker, causing tooth decay and gum disease. Still not brushing? The plaque and acids continue to damage tooth enamel. Your gums bleed, great big holes appear in the teeth and eventually, the acids break through the enamel and into the dentin, the next layer of the tooth. Thinking about the tooth like a tootsie roll pop can be helpful. The hard candy shell seems impervious at first, but after a long while you break through to a much softer tootsie roll center. The white stick represents the nerve canal and once your break into the tootsie roll center, it doesn’t take much to get to the stick from there. Without treatment, the decay reaches the next tooth layer, the pulp or nerve. This is when you feel pain. 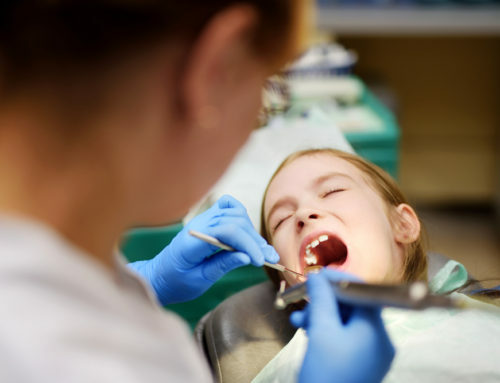 The inevitable toothache that usually starts once you break into the dental will hopefully make you go to the dentist and start brushing long before a root canal is needed. 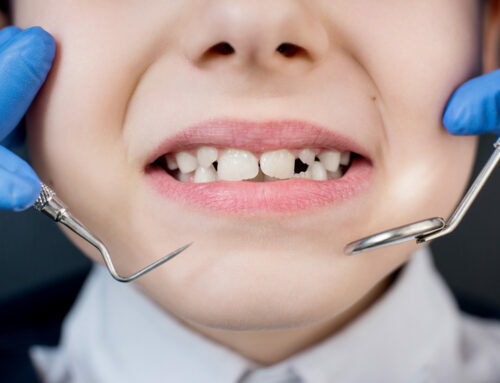 The dentist will have to remove the decay and fill in the tooth to prevent more toothaches, because without the filling, the nerves of the tooth are exposed, leading to more pain. Well, that’s not really true. Their diet was so hard and abrasive, they mechanically cleaned their teeth with their rugged diet. Also, cavemen didn’t eat potatoes, pizza, pasta or fruits the way that we do. Our refined diet of complex carbohydrates today requires regular brushing to prevent bacteria and plaque because the food is too soft and processed for the same level of mechanical cleaning cavemen experienced. Evidence of brushing or dental hygiene was first found around 3500 B.C. where chew sticks were located in excavations of lost civilizations in Mesopotamia and Egypt. So, mankind has known of a need for dental hygiene for a long time, for sure. Of course, we have refined the techniques a little with time. 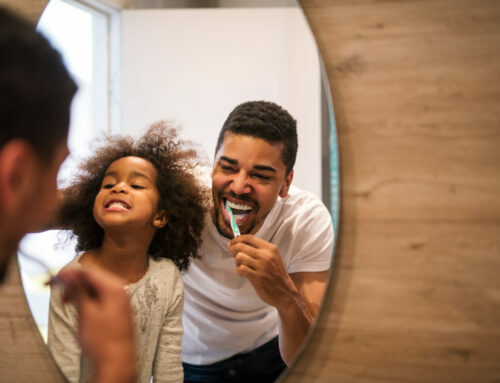 Hopefully this informative article will help you encourage your child to keep brushing three times a day to keep his/her teeth and gums healthy.